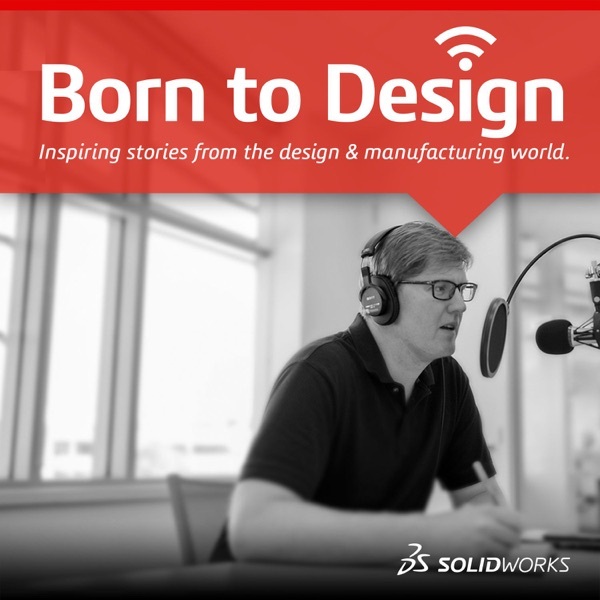 Born To Design - SOLIDWORKS Podcast | Listen Free on Castbox. Show notes and Transcription: http://bit.ly/2U9a6yGMarc DeVidts is the Co-Founder and CTO of Double Robotics, who turned his passion for building robots into a career. Marc, as a teenager, loved designing and building fighting robots, and eventually created IceWave for BattleBots. Marc has a true start-up story with plenty of lessons learned for those looking to build their own business from scratch. We sat down with Dean Kamen, the inventor of the Segway, the AutoSyringe and founder of FIRST Robotics, and get his thoughts on what it takes to inspire today’s youth. Currently, Dean is actively involved with his global initiative FIRST Inspires, which he feels is crucial for students everywhere to be inspired and motivated by technology, so THEY can solve the world’s problems. I’m excited to share his inspiration with you. Interview with Shelly Gruenig (the mentor) and Derek Sanchez (the student, now mentor). Shelly started teaching her children robotics at home to prepare them for their future, but ended up mentoring thousands of students (like Derek) on not just robotics, but many skills needed to manage challenges they will face once leaving home. Shelly has an incredibly positive attitude and great advice on mentoring our youth that you need to hear. I am talking to Rick Becker and Dennis Dohogne who started a movement on the SOLIDWORKS Forum that changed SOLIDWORKS applications. The Movement was simply called: One and Two, which came from the top two enhancement requests from users on the SolidWorks forum. Interview with Easton LaChappelle, who as a young man had a vision of designing state-of-the-art prosthetic arms for children, which he started designing in his bedroom with a basic 3D printer as a teenager. You would not believe where this idea has taken him and who he has met along the way. It’s an amazing journey in a short amount of time. Interview with Grant Delgatty who is the inventor of the URB-E, an educator, and designer. Grant has a very interesting background and some great advice for designers and entrepreneurs for any point in their career. I will be speaking with Paul Ventimiglia, who is the BattleBot team leader for team Bite Force. Paul has been building robots since he was 14, and is now a 3 time BattleBots champion. He also works building robots in the high tech industry. Paul will be talking about his experience building robots and share some insight from the BattleBots events.